The allure of Frank Sinatra, supernova, continues to dazzle 20 years after his passing. 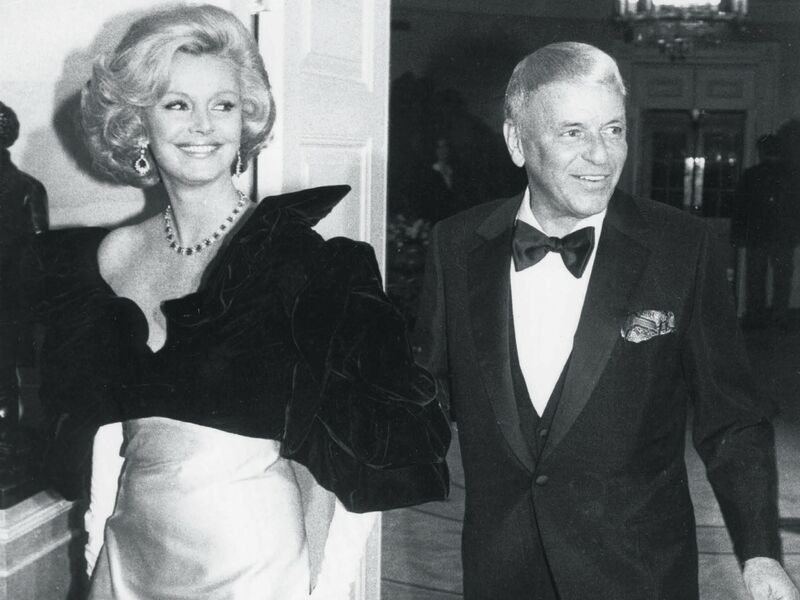 Barbara and Frank Sinatra deliver a dose of Hollywood glamour to the White House for President Reagan’s 70th birthday, in 1981. When Frank Sinatra retired for the first time in 1971—there were several “retirements” followed by comebacks until his last performance, in 1990—the pop, radio, TV and movie star; director and producer; record company owner; casino boss; political candidate; multimillionaire; and philanthropist had already achieved unmatched superstardom. This month, which would mark the Chairman of the Board’s 103rd birthday, Sotheby’s is auctioning personal memorabilia from the estate of Sinatra’s widow, Barbara Marx, who died last year at age 90, having outlived FS by two decades. Among the items for sale are paintings by Childe Hassam and Sinatra himself, Barbara’s collection of fine jewelry from Van Cleef & Arpels and the like, personal copies of movie scripts and a pair of AKG microphones Sinatra kept at his home in Palm Springs. The marriage to Marx (a former showgirl whose previous husband had been legendary comedian Zeppo Marx) was Sinatra’s longest. The skinny boy-turned-babe magnet from Hoboken, N.J., had three previous wives, the first being his Jersey girl sweetheart, Nancy Barbato, who followed him out to Hollywood in the 1940s only to be dumped for MGM stunner Ava Gardner in short order. (Barbato, who died at 101 this past July, was once asked why she had never remarried. Her curt response: “After Sinatra?”) The marriage to Ava lasted a tempestuous six years and was followed by Frank’s quickie two-year hookup with ’60s actress/waif Mia Farrow, who was 30 years his junior. By the time 61-year-old Sinatra married leggy blonde divorcee Marx in 1976, he was a living legend. What began inauspiciously with a kid singing for pennies in his family’s saloon in Hoboken ended up spanning four wives, 2,000 individual recordings, 100 albums, 58 movies (including an Oscar for From Here to Eternity) and 11 Grammys for a voice that defined the ’40s, ’50s and early ’60s and came to represent the very essence of the American song. Cheers to a fellow Sagittarius... and Hollywood’s original and everlasting cool guy.